SEAT Ibiza Stylance 1.4 75PS with climate control a/c, front fogs, electric windows, height adjustable seats and CD player with 6 speakers. Was £8.995. Now £8,295. SEAT Leon 1.6 Special Edition with 16" alloy wheels, rear parking sensors, front fogs, rear privacy glass. £12.195 including free extras worth £650. 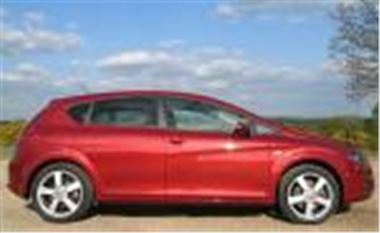 SEAT Altea 1.9TDI 105 Reference Sport with 16" alloys, sports seats, sports suspension, front fogs and air conditioning. Was £12,490. Now £11.490.